What kids are learning: The Book of Living Magic lets players explore an imaginative fantasy world filled with allegory, storytelling, and myth. There's no educational content that directly connects with the people or events in the real world, but the stories and the missions which players must complete to finish the game generally encourages seeing the world through multiple perspectives and empathizing with others. What The Book of Living Magic lacks in gritty realism and shiny graphics, it makes up for in heart. The Book of Living Magic is a short, but charming point-and-click adventure which, while not overtly educational, nonetheless conveys a message about the power of stories and of history to give direction to our lives and to shape our world. Developed by Jonas and Verena Kyratzes, it is a game set in a world of fantasy, but is very clearly an allegory for our own world. The game is illustrated by colorful and childlike graphics, albeit somewhat inconsistent in their quality and appeal. 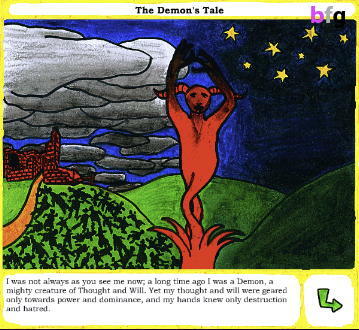 While the game themes are G-rated, stories and puzzles are text-driven, and many of the games jokes and references will likely fly over the heads of younger players. drives home the bleakness of Raven Locks's world. The game starts by introducing players to the game's heroine, Raven Locks Smith, and tells us about her dissatisfaction with life in the town of Dull. Told mostly using very minimalist black and white illustrations, the almost too authentically child-drawn graphics of the opening may turn some players off. However, it becomes clear that the graphically stark introduction is a calculated attempt to replicate the same dramatic transition that the shift from sepia-toned Kansas to technicolor Munchkinland performed in the Wizard of Oz. It certainly works with the theme of the game's introduction, which is rather text-heavy and also somewhat polemically heavy-handed. There are some snide criticisms of bureaucracy, advertising, consumption, and new-age hippies--none which seem to be entirely mean-spirited or unfair, but they give the game the appearance of being rather more cynical than it actually is. Overall, the direction of the game is fairly sanguine: the main point is that Raven Locks needs to find an outlet for her talents and discover the mystery and magic in her own black and white world. This she does by adventuring through the colorful and quirky Land of Dreams. Gameplay is point-and-click at its simplest: the mouse is the player's sole means of interacting with the game environment, and clicking on certain objects and characters in the game triggers descriptions or dialog menus respectively. The dialog interface for conversing with characters a bit clunky, as clicking on a conversation topic did not immediately trigger the dialog. 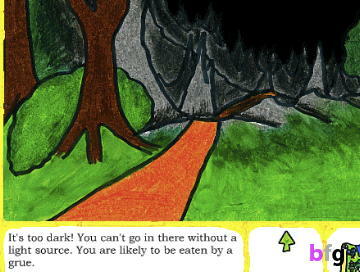 Rather, players must follow the selection by clicking the "talk" button to initiate conversation. It was easy enough to figure out, but seemed one step more than was necessary in such a simple game. Where the game shines, however, is in the number of objects in the environment that the players can observe, and the charming and often clever descriptions given about those things. Exploration of the details of each lushly marker-colored scene is clearly encouraged. likely experience a pleasant sense of gaming nostalgia. Like most adventure games, the main mechanic by which players progress through the game is by solving puzzles in the game. The "puzzles" here amount mostly to fetch-quests: a character asks for an item and the player must somehow procure it, either by finding it in the world, or getting it from a different character. Players have an inventory which visually displays the items they have collected, but items are used automatically during play and never have to be selected. Again, none of this deviates from the expectations for the genre of point-and-click adventures, but what was rather unique was that, unlike many of the adventure games of the 80's and 90's, the puzzles in The Book of Living Magic never felt overly obscure or difficult to figure out. Some players might say the game is too easy in that respect, but fortunately, it didn't feel overly simplistic. Most puzzles require multiple steps to complete or involve interacting with several characters, however, the game provides enough clues that players should rarely feel stuck or overly frustrated. There's also a notebook that players can select which keeps track of the tasks that players need to perform, but I never found myself needing to consult it. Instead, the game does a good job of encouraging players to talk to characters and pay attention to their stories in order to solve puzzles. In cases where players or locations need to be revisited to solve a puzzle, navigation in the Land of Dreams is easy and direct enough that such backtracking never seems burdensome. The game doesn't try to artificially lengthen the overall play time at the expense of the player's patience or sanity. The game is not intended to be overtly educational in the sense that there is no attempt to teach any specific facts or subject matter. And while there are many references and allusions to real-world people, texts, and classic video games in The Book of Living Magic, the setting of the story is pure fantasy. But it works well as allegory, and makes the game fit easily into a category of educational game that I recently discussed, which I like to describe as mindful gaming. In the case of The Book of Living Magic, the emphasis isn't on factual content, but in advocating a way of thinking. In this case, the main ideas seem to be fostering empathy, encouraging players to listen to the stories of others, and to consider both sides of every story. Stories range from the silly and playful to the touchingly bittersweet. The primary way in which the game encourages players to listen to stories is most obviously in the quest/puzzle solving portion of the game. Players must talk to characters about various different topics, sometimes more than once, in order to trigger a quest or find the solution to a puzzle. In the course of doing so, they learn about the character's backgrounds and find some to have pasts that are complicated and bittersweet. On the surface, this doesn't sound different from most adventure games: well-designed games always contain some in-game clues as to how a puzzle can be solved. However, in this game, puzzle are usually more than arbitrary obstacles, and solving the puzzles isn't an end in itself. There are no points to be earned or achievements to unlock by solving puzzles, rather, the reward of puzzle solving is to advance the story and to hear the stories of the characters in the world. Moreover, by listening to the stories, Raven Locks's understanding of the world changes, as not everything is as it appears in the Land of Dreams. For the savvy player, the game is also satisfyingly packed with a humor that lovingly references classic video games like Zork and Zelda, as well as making some slightly more highbrow allusions. 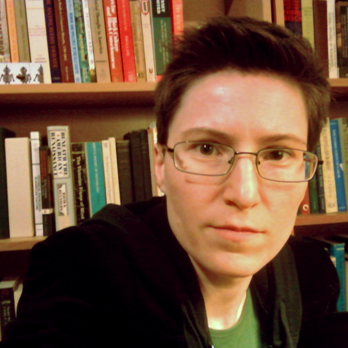 Players find books on Dr. McShellfish's shelves with titles that should make scientists and academics alike chuckle, like "The Voyage of the Darwin, by Peter S. Beagle," and "Curing Lacanian Brain Damage (Sokal, Briemont, et al. )," and a philosophical monkey who likes to extol the virtues of Dutch philosophers like Koerbagh and Spinoza. Understanding such references isn't necessary to finish the game, but they can be great conversation starters if young players work through the story with a parent or graduate student. There is a certain sense of satisfaction to be had in getting these in-jokes, and they perform admirably as subtle reminders of just how deeply connected the Land of Dreams is to our own world. Over the past ten years, adventure games have been denigrated and declared dead and buried numerous times. For all the criticism that have been hurled at adventure games, I found the The Book of Living Magic to breathe new life into the potential of the genre. They game plays out like an interactive fairy-tale, and while the gameplay mechanics won't win any awards for innovation, the emphasis on child-like wonder at the world is definitely complemented by the art style and the soundtrack, even if the graphics an interface seem a bit rough-hewn at times. 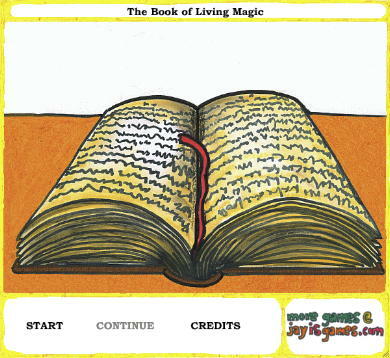 The Book of Living Magic is also refreshing in how it eschews the use of obscure riddles and extreme lateral thinking in order to complete the game. The satisfaction of playing the game doesn't come from figuring out puzzles that require extreme leaps in logic or an overly intricate sequence of triggering events. Rather, the satisfaction comes from revealing the next layer of the story, whether it's the story of a demon's change of heart or a misunderstood lobster scientist. The final message of the game may come off as a bit saccharine for some player's tastes, but it is a fairy-tale-like ending that suits this fairy-tale like game well. 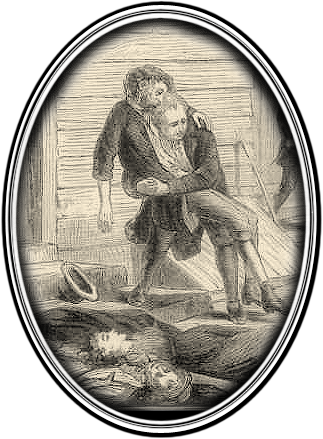 I was happy to forgive a bit of romanticization in the game's numerous gestures toward the importance of history, philosophy, and of seeking knowledge and understanding from the world, from others, and from ourselves. These are values that I think most of us hold dear, but which rarely serve as the central message of a video game. Overall, I found The Book of Living Magic to certainly be worth the short but satisfying 20 or 30 minutes that it takes to play.